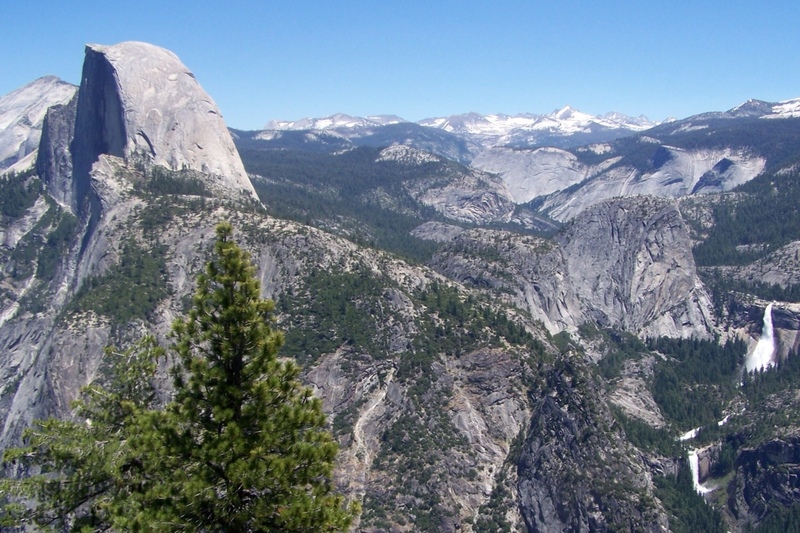 Half Dome and Cloud's Rest, on the far left, frame this photo with Vernal and Nevada falls. This was taken at Glacier Point. On the way up, we got many great views of Yosemite Falls. 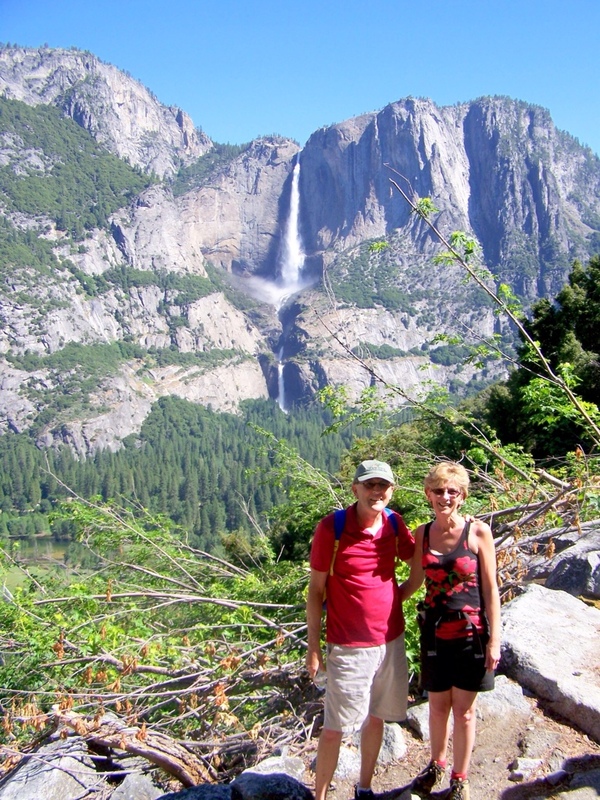 The next time you are enjoying a spring or early summer day in California's Yosemite Valley, the Four-Mile Trail is a great way to get to the high country while experiencing views of the park and its waterfalls that change as you turn every corner. The trail begins near Sentinel Beach in Yosemite Valley. There is about 3,200 feet of elevation gain, so we wouldn't recommend it on a hot summer day. It is a vigorous trek. This was the original way to get to Glacier Point before the present road was built. 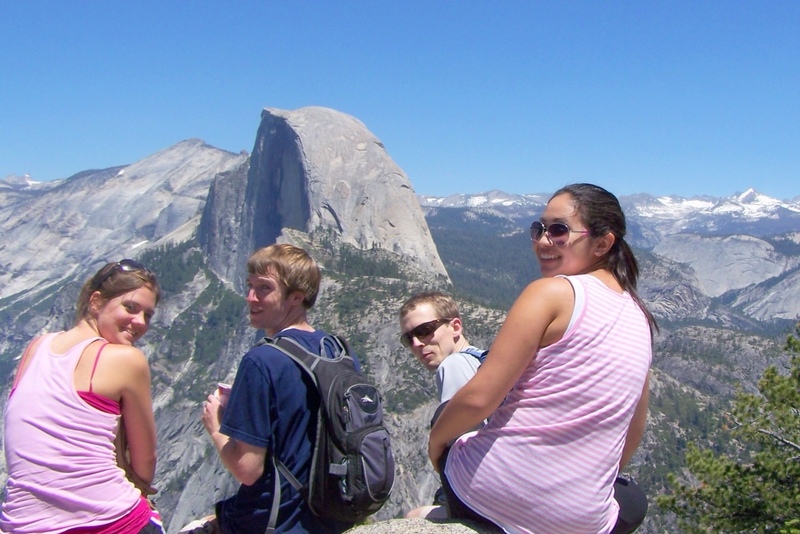 At the top (Glacier Point), the views are unparalleled. There are snacks and hot food in the store and restrooms nearby. A warning: the trip down can be tough on the knees, so take your time. If you are not game for the walk up, catch the shuttle bus at Yosemite Lodge, which will take you to Glacier Point, then hike down. The bus sometimes books up, so you may want to reserve seats. 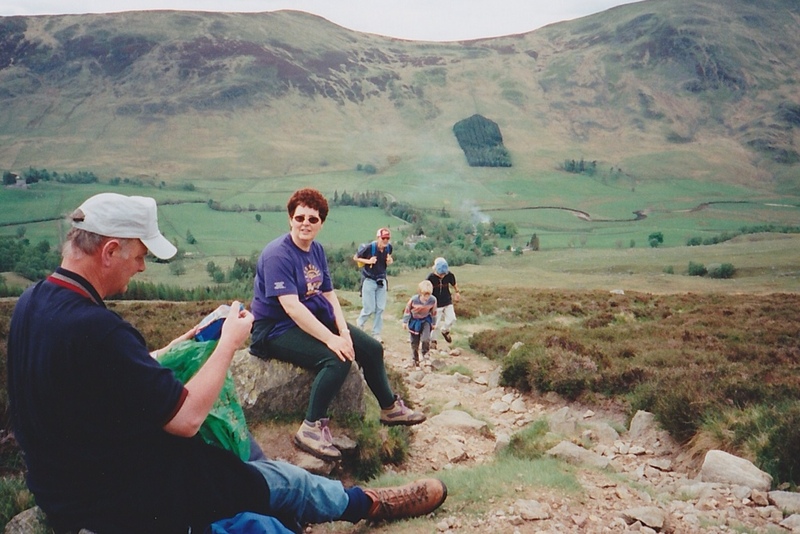 Our sons Brad and Andrew along with some friends came along to take in the views. If You Are in the Neighborhood: Bon apéttit! 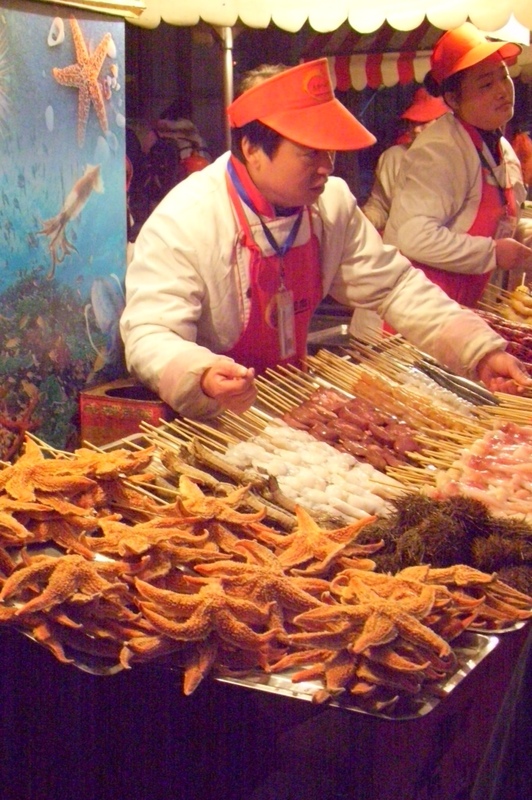 Outdoor food courts in Beijing offer starfish and scorpions, among many other delicacies. 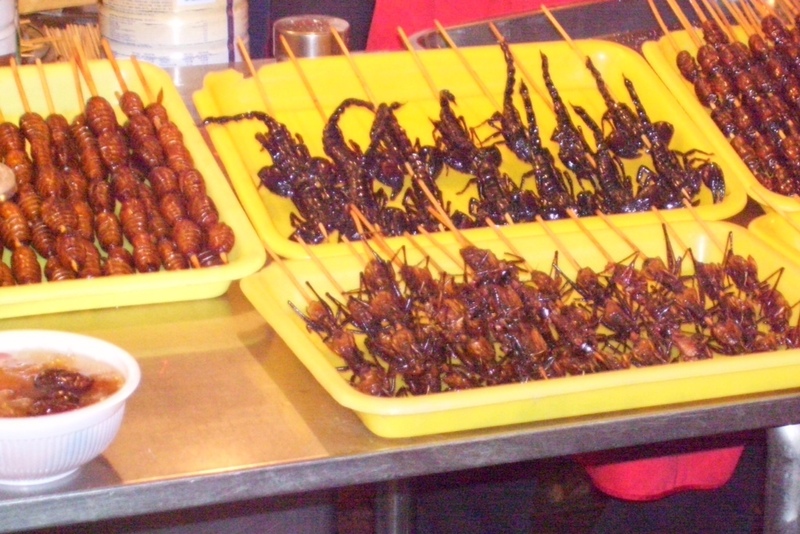 Would you eat grilled centipedes? How about haggis? Would you wash down your meal with some wine fermented in a bottle with three poisonous snakes? For me, the answer to the first two questions was “no.” When walking along an outdoor food court in Beijing, some Chinese men offered me what looked like a grilled centipede from a stick. I turned them down and they laughed. In Scotland, during a wonderful Burns Supper evening at a friend's home, I could not bring myself to eat the haggis. Sue did! 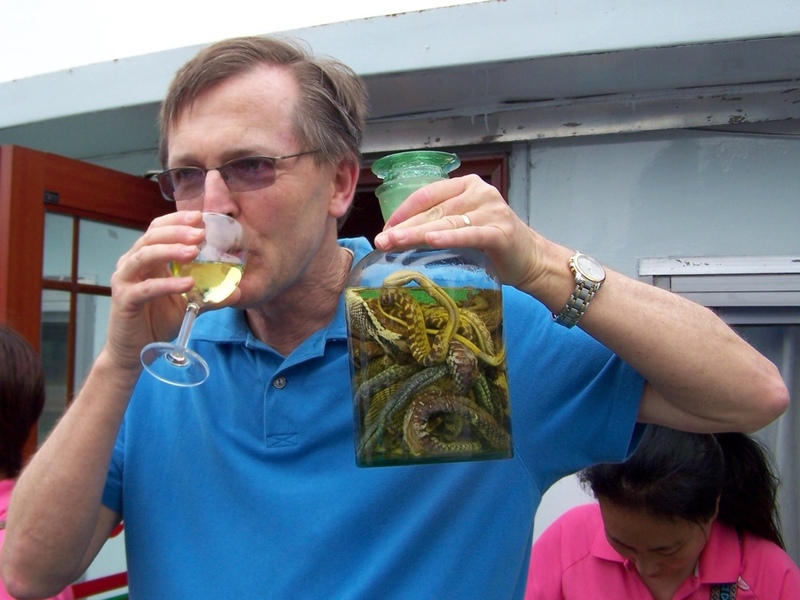 On a return trip to China, I was offered snake wine during a Li River cruise and, remembering my regret at not grabbing a centipede from the young Chinese guys and tossing it in my mouth, I (very reluctantly) ordered a glass. It tasted like whiskey, made my tongue numb, and I surprised the Chinese hosts who were used to being turned down. We all had some great laughs when I tried to speak. When we lived in Scotland, friends visiting from the U.S. brought canned pumpkin so we could make pies for Thanksgiving. I took a pie to work; some of the Scots tried it, but others would not. In fact, they were repulsed by the idea. I hope I can become a more adventurous eater when I travel. Perhaps a bit more wine before a meal might help. What is your favorite food story from your travels? There was a surprise ending to this drink. 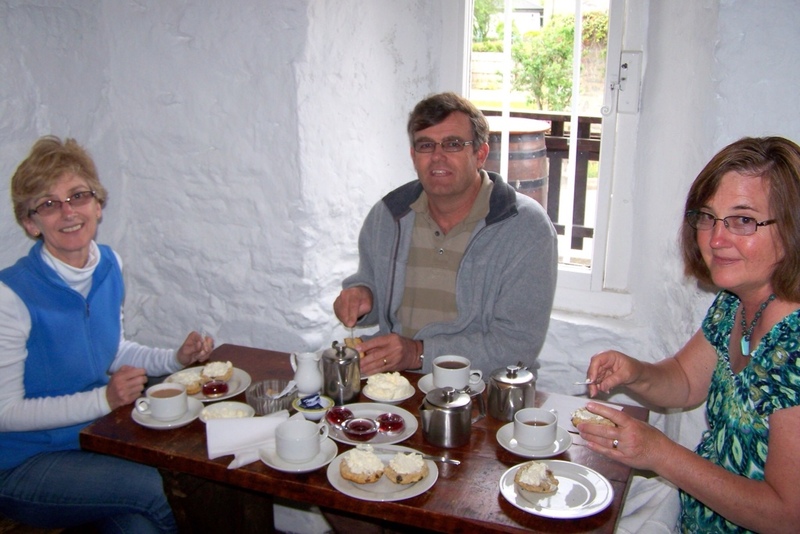 A Scottish tea room offered tea, fresh scones, clotted cream and jam. Along with our friends Doug and Kathy, we could not turn them down! One of the three Black Lakes near the Forbidden City. A hutong, or narrow alleyway, in Beijing. Beijing is a sprawling city marked by rapid modernization that has led to the leveling of many ancient courtyard homes (siheyuan) and narrow alleyways (hutongs). 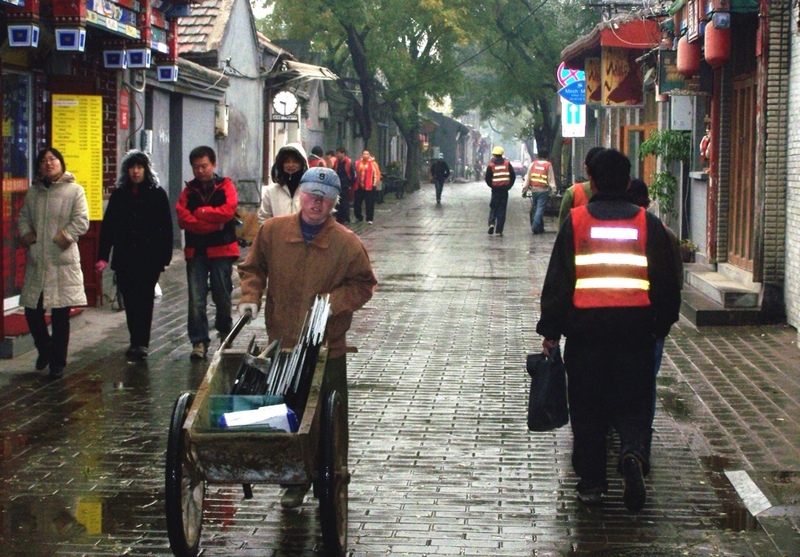 The destruction and resulting displacement of people has been controversial and there is an effort to preserve and renovate homes in areas near the Forbidden City. Guidebooks highlight walking and rickshaw tours and both times I was in Beijing, our tour groups were offered a luncheon in a family's courtyard home for a reasonable extra charge. If you have the chance, don't miss it. It was the best food of two trips to China. A popular so-called hutong neighborhood is near the Black Lakes area about a mile from the Forbidden city. 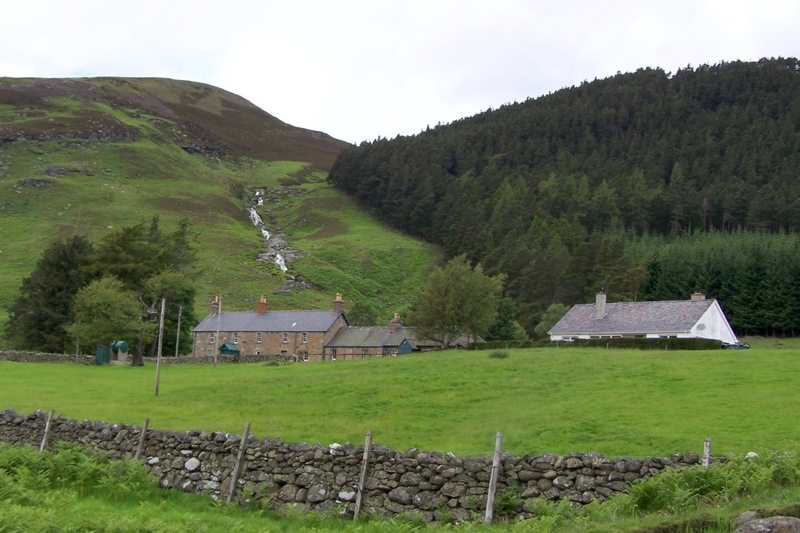 There are many bars and cafes around the lakes. Tourists and locals stroll and bicycle around the lakes. 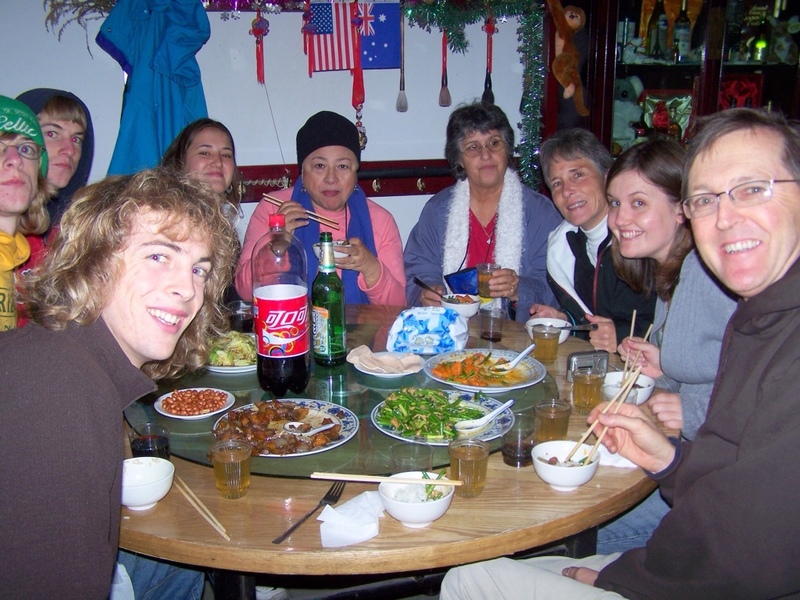 Our group, in photo at left, enjoys a tasty lunch in a Chinese family's courtyard home.